Cloud computing involves transferring the storage of files and programs to online servers, making them more widely accessible, instead of storing them on a local machine. IRELAND COULD guarantee the creation of up to 20,000 new jobs in the coming years if it grew its ‘cloud computing’ industry to become the ‘next ISFC’, a new report has suggested. A study compiled by Goodbody Economic Consultants, and commissioned by Microsoft, found that Ireland was well placed to become a major global leader in the sector, which could directly create about 8,600 jobs, Silicon Republic reports. The prevalence of such a sector in Ireland, however, would mean that the IT sector as a whole would further expand in the country – with the creation of as many as 2,000 new firms, which could employ as many as 11,000 people or more. 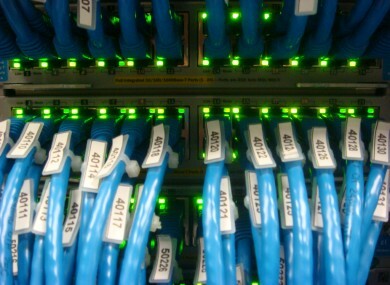 Cloud computing essentially involves the transfer of files, programs and processing power away from a user’s individual computer and onto internet-ready servers, which are then remotely accessed – making it easier to access a user’s files, for example, from any internet-connected computer instead of having to keep them stored and saved locally. RTÉ adds that the early adoption of cloud computing would save Irish businesses about €500m a year. “Cloud computing will revolutionise technology the way the internet did,” Rellis said. “If the correct steps are taken now, Ireland could be home to the next Facebook”. Email “Cloud computing could create 20,000 Irish jobs - Microsoft”. Feedback on “Cloud computing could create 20,000 Irish jobs - Microsoft”.